Xin trả lời với các bạn: “Hiện nay trong lĩnh vực du học có rất nhiều công ty mở lớp luyện thi Phần Lan. Do vậy, INEC không phải là trung tâm duy nhất và chúng tôi tự hào là công ty có kinh nghiệm lâu năm trong lĩnh vực này.” Những năm qua, INEC đã hợp tác với các giảng viên giàu kinh nghiệm người Phần Lan để tổ chức lớp luyện thi cho các em học sinh. Đây là các giảng viên giàu kinh nghiệm từ các trường Đại học Phần Lan, đồng thời cũng là giám khảo trong cuộc thi tuyển sinh Phần Lan tại Việt Nam. Chính phủ tài trợ miễn 100% học phí ở mọi bậc học. Chi phí sinh hoạt thấp (350-500 EURO/tháng). Tổ chức OECD đánh giá Phần Lan là đất nước thành công nhất trong nền giáo dục. 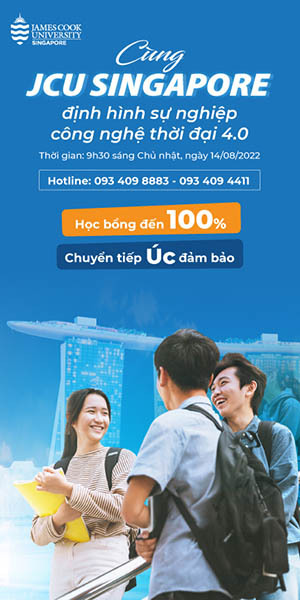 Tỉ lệ Visa đạt 100%, không cần chứng minh tài chính. SV tốt nghiệp được ở lại 1 năm làm việc hoặc học cao hơn. Đối với những SV chăm chỉ muốn tìm cho mình một công việc làm thêm phù hợp thì nơi đây sẵn có những cơ hội hấp dẫn.” Để trở thành SV tại Phần Lan năm 2015, các bạn SV quan tâm cần phải nhanh chóng bắt đầu tìm hiểu về những yêu cầu và mốc thời gian quan trọng trong việc nộp hồ sơ Du học Phần Lan. 1. Fiskars is the world’s leading company specializing in manufacturing the iconic products for Home, Garden, Outdoors and others. 2. Fiskars held 11,7% of the shares of Wartsila, a global supplier of marine and energy systems, solutions and services, which is currently considered as its associated company. 3. According to the Annual Report 2011, Fiskars reached an increase of 6% of the net sales for its entire business areas in spite of the world’s economic downturn. 4. The ethos of Fiskars is to design, innovate their products, which can bring joy and problem solutions to their consumers. 5. The world’s well-known brands of Fiskars consist of Fiskars, Littala, Gerber, Buster, Arabia and Hackman. 6. The main current market shares of Fiskars are in Nordic regions and American. Fiskars’s ambition is to expand their presence to Europe and Asia. 7. In order to operate more effectively and efficiently, Fiskars has been taking various measures to restructure their business model and enhance their selected business and brands. 8. Littala is a brand for the orange-handled scissors. Fiskars is for garden tools and Gerber is for alumni boats. 9.To strengthen its supplier network to Asia, Fiskars established a sourcing office in Bangkok and Japan. 10. The 2011 growth of Fiskars was achieved based on their structures, systems and processes, and sales channels. a. They must set up a strong brand portfolio to optimize their net sales and their fame in the market. 6. Which statement is the most correct? a. Fiskars is famous for knife. Littala are the brand of the world’s number scissor brand and garden tools in many markets. Gerber is the brand of tableware and glass used for home interior design and art decoration. b. Fiskars is the world’s number scissor brand and garden tools in many markets. Littala are the brand of tableware and glass used for home interior design and art decoration. Gerber is famous for knife. c. Fiskar are the brand of tableware and glass used for home interior design and art decoration. Gerber is famous for knife. Littala are the brand of the world’s number scissor brand and garden tools in many markets. d. Fiskars is famous for knife. Littala are the brand of tableware and glass used for home interior design and art decoration. Gerber is the brand of tableware and glass used for home interior design and art decoration. a. Bring their iconic products to consumers all over the world and restructure their business model in a smarter way. 8. Which statements are correct in terms of Fiskars’ growth strategy? a.To implement their growth strategy, Fiskars set up three themes. Firstly, they will focus on their well-known international brands and develop their brand portfolio with careful selection. Secondly, in order to operate more effectively, they will restructure their organization, launch new IT program and processes, and establish their Nordic distribution center in Finland and a global sourcing office in Bangkok. Thirdly, they will strengthen their good positions in their key markets for Garden, boost their Outdoor product categories in the Americas and open new markets in Central Europe and Asia for Home products. To do the third theme, they need to take their customers as the centre for their development through their R&D innovation and commercial expansion. b. Another strategy of Fiskars is company integration. This means that Fiskars makes the best of the local know-how of their company members all over the world to maximize their sales and get the benefits of scale in manufacturing, sourcing and logistics. This way of doing can offer their products to the consumers quicker and more efficiently. a. Become the number one specialist company for the home, garden and outdoors by expanding geographically and launching new product categories, optimize their trade relations with their current business partners and build new trade relations with other business partners , and create iconic products meeting the demands of consumers. d. Do thing since it is well-knowned and rich. b. Continuously invest in the new product development and marketing to expand their product offerings all over the world and bolster their competitive advantages. d. Increase net sales and their presence to the countries all over the world. Based on your specific major, select one topic and write it. People say that the Vietnamese enterprises should build up the national brands in order to compete stronger and better in the international markets? Give your opinions on this view. More and more Vietnamese enterprises have been aware of how important an IT system for their daily business activities is. Give your comments on this issue. The Vietnamese authorities wish to make Vietnam an attractive destination for local and international tourists. As a prospective student majored in Tourism, what would you recommend them to do?